I can't wait to share with you all the projects I am making right now that will be on display at the new Gresham Craft Warehouse opening next month! My studio is filled with scrapbooking supplies and my little fingers have been creating away! I knew I wanted to start this Milk Carton project first. This Milk Carton Lifestyle Crafts Die Cut measures 2.25” x 2.25”x 4” and fits in my hand when put together. 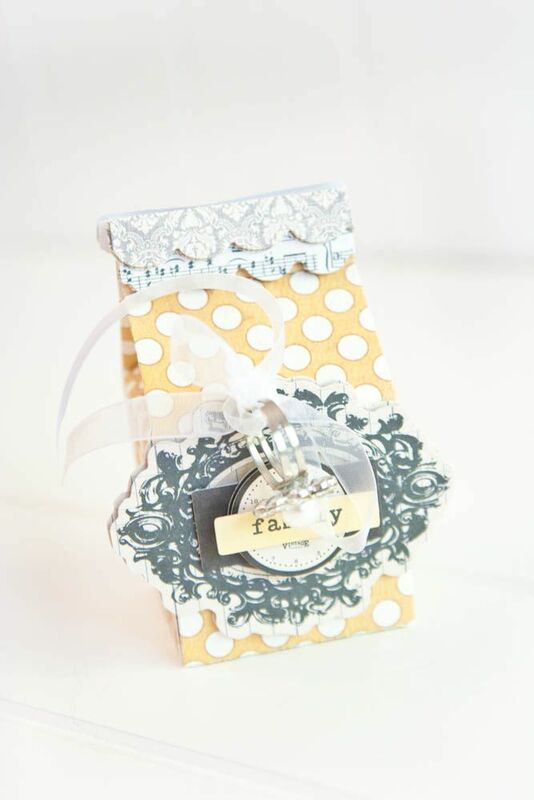 I used Teresa Collins Designs' new Vintage Finds Collection and was asked to use the bling as well. I went to glue it down and I just couldn't. You see, I give gifts like these away all the time. For those that do not scrapbook, the box just gets thrown away. I knew this was for a display but I just couldn't glue it down. It was too pretty! Whenever I purchase bling like Teresa Collins' (whom I like to refer to as the Queen of Bling) I glue it to a ring back and add it to my gift. Not only does add something beautiful to the box, it is like giving two gifts as one! - Create a Christmas advent where they hang on twine with numbers on the outside! - Do the same with a count down to Valentine's Day! - Fill with your child's snack for their class. How fun would it be for the children to open their milk box and have gold fish crackers or other treats inside? - A unique invitation to a birthday party or baby shower! 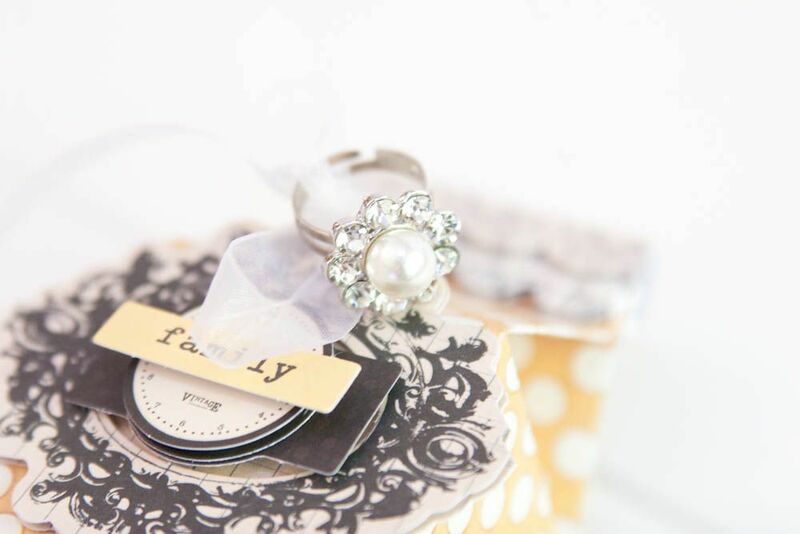 - Add wire and a place card for Thanksgiving or a wedding! - Ornament exchange gift box! I could go on and on! I can't wait to play with it some more! 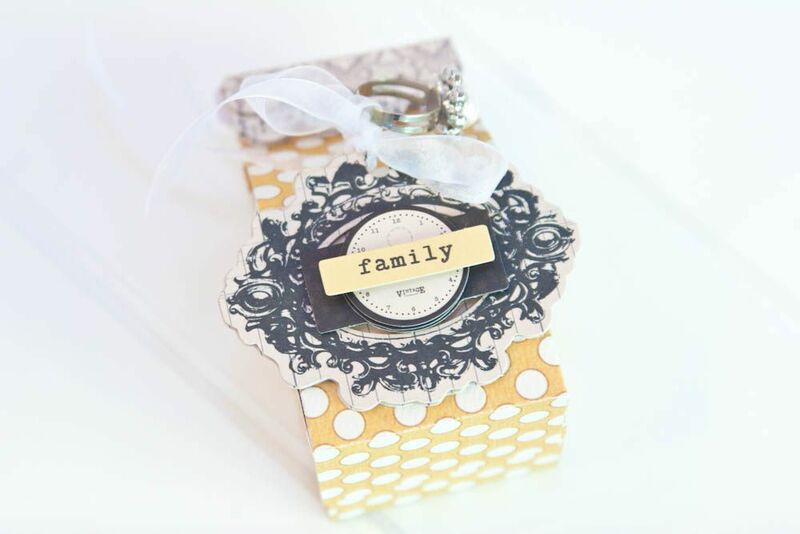 Create Well: When creating a gift box, think of adding a little gift on the outside too! you are soooo sooo clever Jennifer!